Una Go Just Die For Nothing - Charly Boy! ~ CK Jacob: Nigerian Fiction And Lifestyle Blog. Greatest Nigerian Youths! Shey una go still answer, ‘Great!’ When it is clear that most of you guys are silly, foolish, ignorant, confused, useless and downright lazy. Shame wan kill me here on una behalf. You guys are a Big disappointment to this generation, and a disgrace to the greatest Nigerian youths of the 50s, 60s and early 70s. Dem swear for Una? Most of you guys have become a docile entity that is driven by the insatiable desire to reap where una no sow, expecting miracles when you have not worked and seeking help in all the wrong places (illuminati, native doctors and night vigils). The frustration in our humanity is exemplified in the confused non-ideological and non-intellectual capacity of today’s youths. The anger of your hunger is not hitting the minds of our youths and the vexation that has trailed governance nationally is almost unheard of among our youths even though the new Nigerian reality is most felt by these same youths. Kai!!! Una Mumu never Do? For the past four decades, I have been fighting the course of the Nigerian youths and I still believe that Nigeria will be saved by its exceptional youths. After all, many great Nigerian youths have passed through me and have grown to become masters in their game. Like Tunde and Wumi Obe, the great Majek Fashek, Dede Mabiaku, Gloria Anozie Young, Jim Iyke, Ali Baba etc. They all passed through the Charlyboy University. I have made and encouraged Big Stars who are even bigger today. Because of me, millions of Nigeria never gave up on their dreams, because they have been inspired by my tenacity, my focus, my hardwork,my consistency, belief in self and my never-say-die-spirit. So, how can my honourable intentions for the youths ever be in question. But when I see how so nonchalant and clueless most of them have become, I sometimes get demoralized. When I called the youths to action, to fight to retrieve their stolen and kidnapped future, I was confronted with youths who are incapable of taking the bull by the horn and leading movements geared towards the Nigerian realignment. Even with the Social media platforms that cut across Facebook, Twitter, Whatsapp, Instagram; which should be one of the deadliest weapon against our yahoo yahoo leadership, the Nigerian youths slaked. Rather what did I see? Ignorance, and an illiterate bunch that trades on insults, with their horrible English wey dey purge belle, incapable of moving from the virtual reality to the reality of their present situation. When a few exceptional Nigerian youths came to me for support to lead the protest to fight corruption starting with the National Assembly I knew that this was the beginning of a new dawn. I immediately jumped on it. It was purely out of my desire to see and feel the reawakening of the lost breed of youthful activism and sustained engagement of old. It became personal. With the interest of the youths at heart, I saw a platform for sustained resistance against audacious political criminality to be presented to those who are ready to change Nigerian from the top to the bottom. It was done to activate the firebrand spirit lost to the destructive generational problems; to inform the youths and ring it loud and clear that the moment of continuing engagement has come. Our youths must wake up with the urgency of now. Leadership is not a gift, it must be earned. You must show willingness to lead. You must be tenacious. You must show support to those who take the risk to speak for you instead of throwing stones. We all should educate ourselves on good governance and mass mobilization for a sustained activism because Nigeria is failing and we are known for notoriously destructive government. It’s time to stand up and be counted; it is time to say enough is enough. Governments over the years have succeeded in creating youths who have absolutely no idea about the processes that necessitates real success in the society; it is time to recreate the Student Unionism of old and the major driving force behind youth empowerment that is capable of waking the docile sleeping Nigerian youth. No matter my disappointment from time to time with the youths of this great country, I will never quit on you guys no matter how juvenile you all make out to be. Even if some of my intentions are misconstrued, I will always stand firm, because I no send. I am confident that with my constant appeal for standing up in defence of your hijacked future you can begin to be emboldened to be more vocal about your predicament. As a fada I will never be too far from you. This is a fight we cannot loose, and we cannot fail. All obstacle placed in our way to derail this movement will Never succeed in Jesus mighty name. The Nigerian youths sooner than later will retrieve their stolen future. I believe in the exceptional youths and I believe in Nigeria. I shall and must be well again with us, God punish bad people. He actually aid the truth.. even some people will chastise him for that. The Nigerian youths of today-all of us, i think have really derailed and lost focus. when i read what youths did decades before i was born i wonder what manner of people were they and where did their power come from. 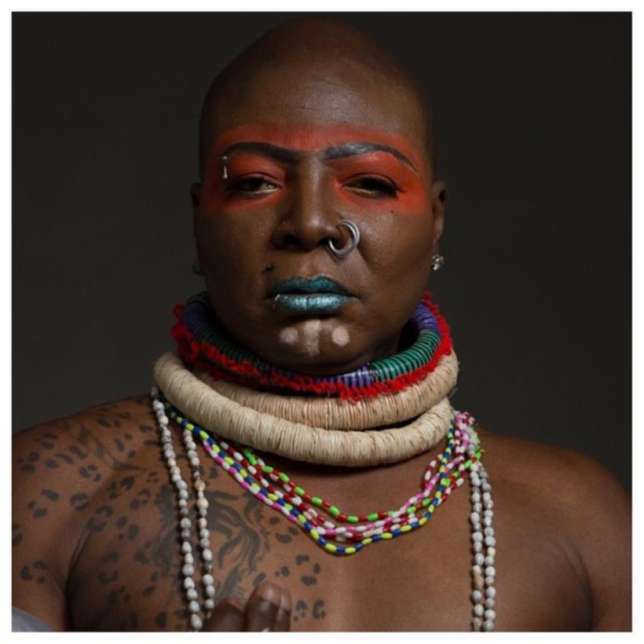 Charly boy and his bad mouth. Ys oh, God punish bad people. This is too harsh and will only result in conflict.